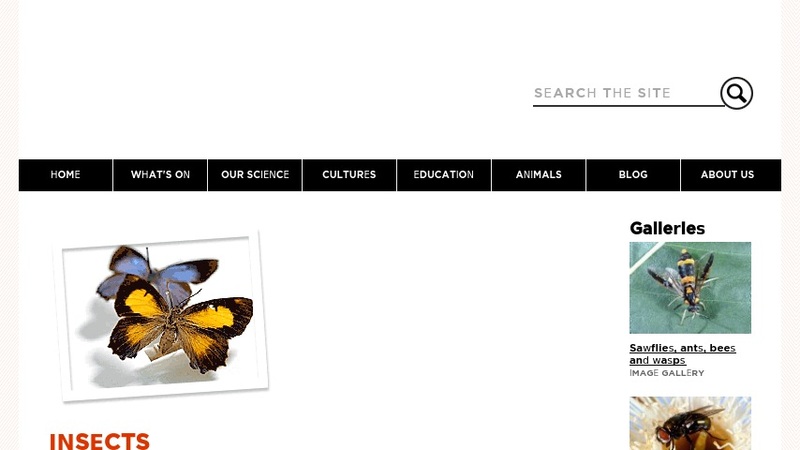 This online exhibit provides information about insects and the scientists who study them. Topics include an introduction to the insect group (phylum Arthropoda), the process of metamorphosis, and biting and stinging insects. There are also discussions about keeping insects as pets, insect ectoparasites (fleas, lice, and others), a set of fact sheets on insect-related topics, and links to related websites. The collections page provides an overview of the Australian Museum's major insect collections, their history, and the museum's research programs and personnel.